Today we are going to discuss about Heading Tags.In my previous post we discused Backlinks, Anchor Text topic..Heading Tags are also very important to every web page to describe what is webpage content.Use Heading Tags for heading purpose only,not for making text. <h1> to <h6> tags are used to define on a web document. <body>———————Defines the document of the body. <head>.———————Defines the document head element. <h1> to <h6>————–Defines the Html headings. Asper W3 schools <h1></h1> is the first heading tag. which is very important to every webpage And <h6></h6> is the last heading tag which holds less importance on the webpage.By using heading tags,search engine can easily index your blog post and it can understand what is your content. 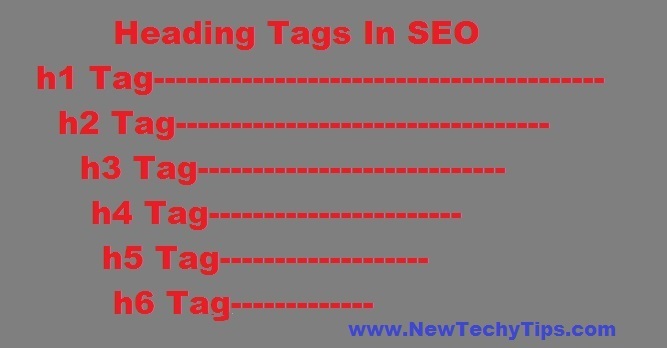 In simple form heading tags are used to define what is web page. 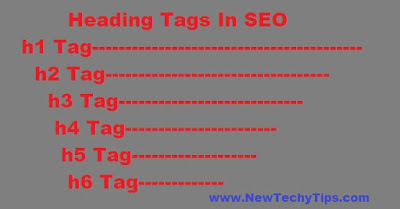 Using heading tags in your blog ,it will become user friendly blog and it would be better blog design.A user can easily get notice what is your blog about.heading tags describe blog content in single shot.So now you people got an idea about h1 tags,significance of h1 tags.When ever you use h1 tags in your blog make sure it like that people get an idea about your blog just reading heading tags.So use heading tags properly. Don’t use h1 tag except one.Because it is like news paper heading line,Other content should be define with sub-heading according to your content.